Paul Vallas joins a crowded field, hoping his credentials running school systems in Chicago, Philadelphia and New Orleans – and years working on budgets in city hall – will distinguish him from the pack. That pack (so far) also includes former Chicago Police Superintendent Garry McCarthy, Cook County Circuit Court Clerk Dorothy Brown, principals’ union president Troy LaRaviere, businessman Willie Wilson, tech executive Neal Sales-Griffin, and activist Ja’mal Green. (Find our interviews with each of the candidates below.) And while he’s the frequent target of criticism from the announced contenders, Mayor Rahm Emanuel still has yet to formally declare his run for re-election. During his campaign announcement Wednesday, Vallas says he believes his leadership is urgently needed in Chicago. 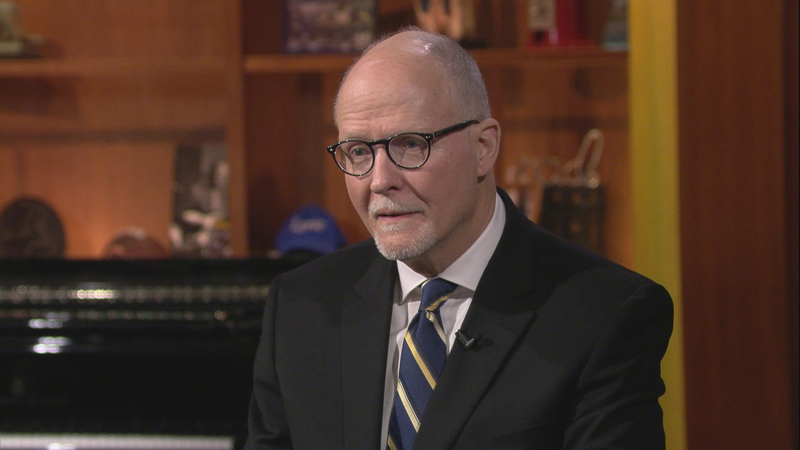 Vallas joins Chicago Tonight for a conversation about his candidacy.